Thanksgiving is officially over and I am done with leftovers. Many of my friends feel the same way. This past week I wanted to Detox and eat lighter. 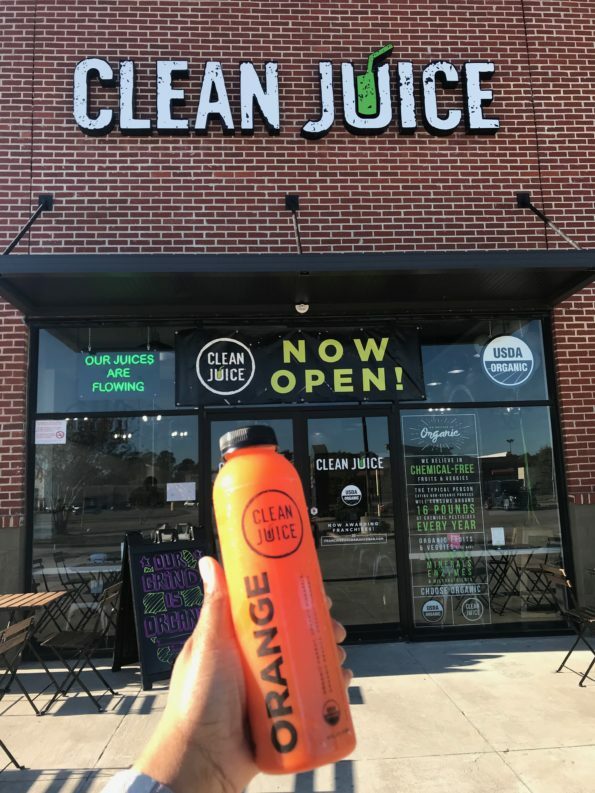 When I heard that Clean Juice had officially opened I was ecstatic to try this place. As a child my mom always told me that breakfast was the most important part of the day. I have never been much of a breakfast eater. But one thing that I am always willing to drink is juice or smoothies as my breakfast. 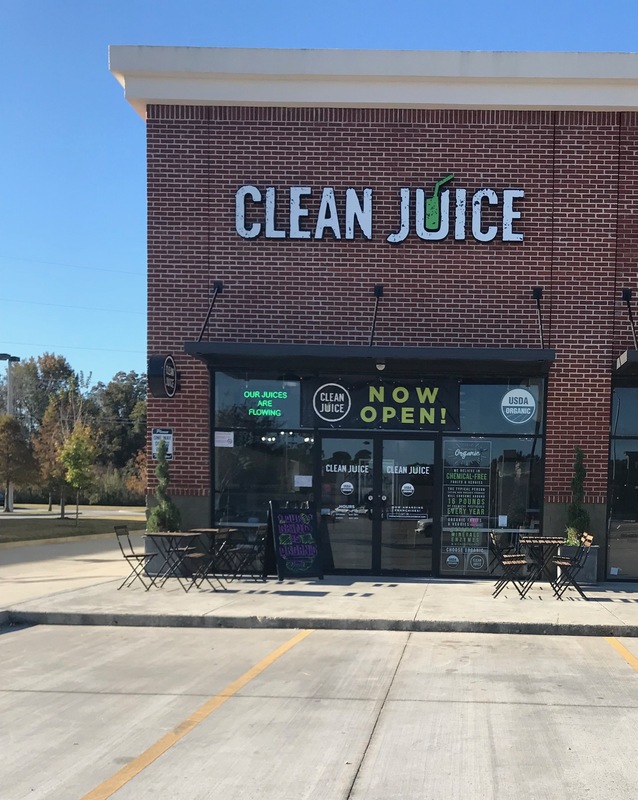 Juice Bars are on the rise here in Lafayette and I couldn’t wait to see what would set Clean Juice apart. As I walked in, I was greeted by two workers that were super friendly, the gentlemen told me a little bit about the company Clean Juice. 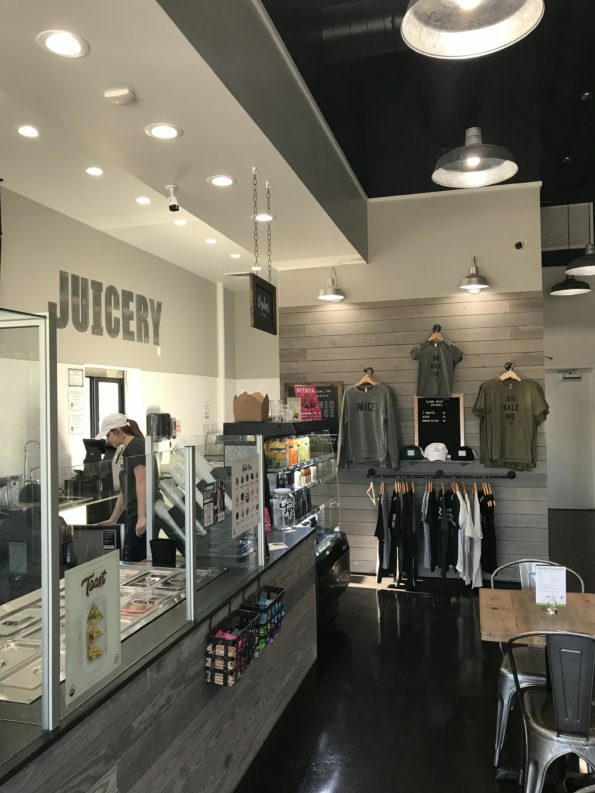 Clean Juice is a company that believes in Healthy in BODY and Strong in SPIRIT. Preparing food with fresh products and sharing scripture on each bottle served. “Dear friend, I pray that you may enjoy good health and that all may go well with you, even as your soul is getting along well” (3 John 1:2). Awesome! 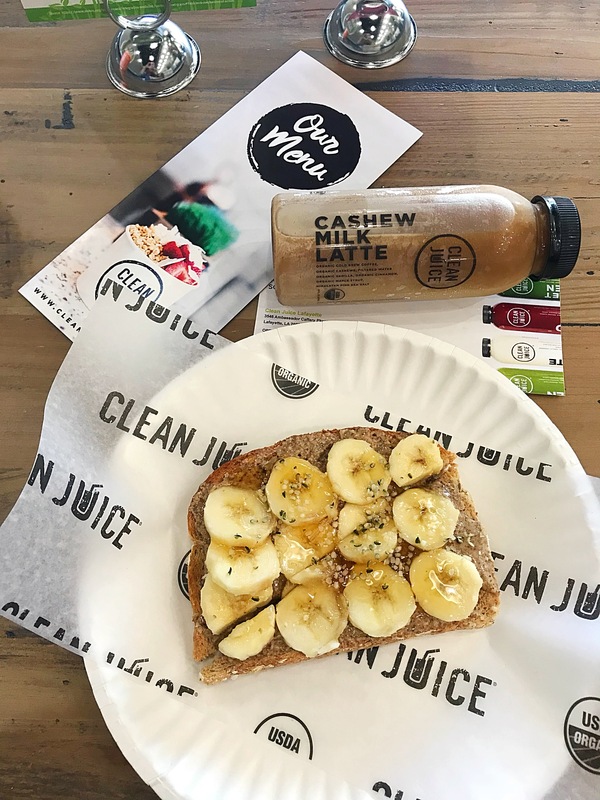 I absolutely loved the atmosphere at Clean Juice. From the time I walked in until the time I left the service was phenomenal. I ordered the Almond Toast. 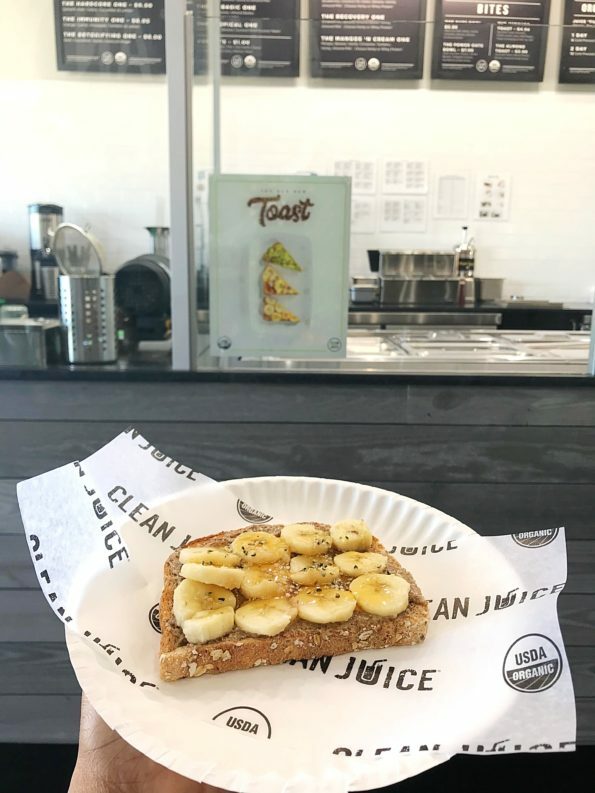 The toast consisted of sprout toast, almond butter, banana, and honey and hemp seeds. A crispy toast with delicious almond butter and the hemp seed added a nice texture to the toast. To drink I tried the Cashew Almond Latte. Ok, let me just say I couldn’t stop thinking about how delicious the Cashew Almond Latte was. 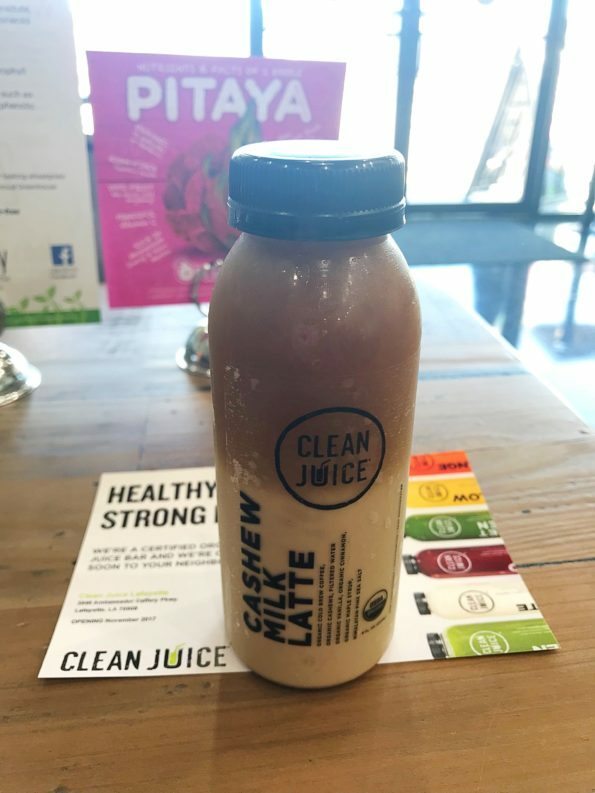 The Cashew Almond Latte included cold brew coffee, cashews, filtered water, cinnamon, maple syrup and Himalayan sea salt all organic. So good. Flavorful and the drink even gave me a boost of energy. I also ordered an Immunity One to go. This drink included Oranges, Pineapples, Carrots, & Lemons and Turmeric. A Vitamin-C rich drink that is highly recommended if you feel like you are getting sick. Turmeric is a root that has health benefits that can’t be measured. A drink that is likely to knock out whatever you may feel coming on. The drink was very flavorful. The flavors worked well together. The Turmeric was a little strong for me. But it wasn’t too bad. In addition to Juice, Smoothies and toast, Clean Juice also serves Oat Bowls and Acai Bowls. 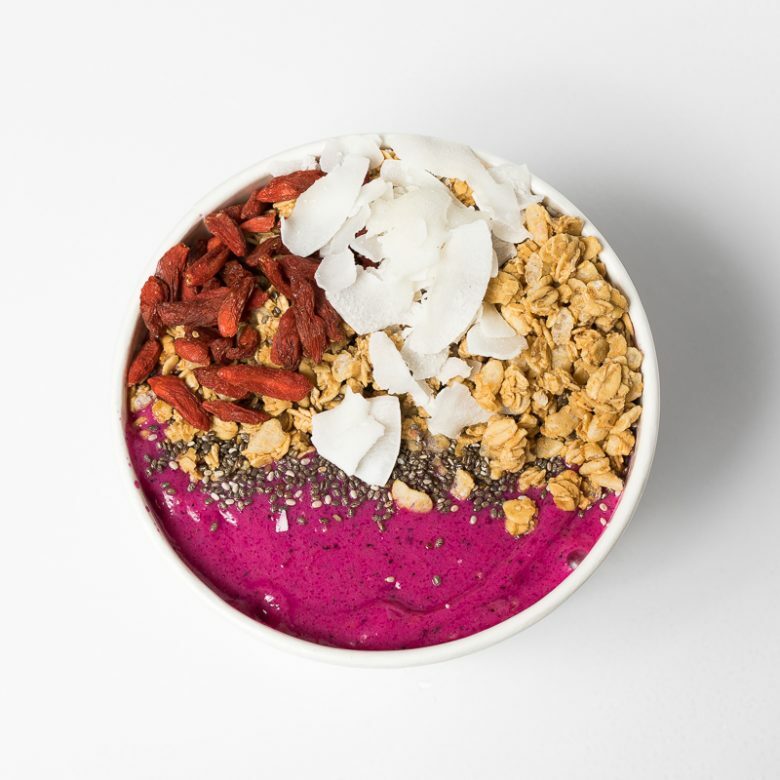 Pictured above is the Pitaya Bowl with Almond Milk, Banana, Chia Seeds, Coconut Chips, Goji Berries, Granola, Mango and Pitaya. They also have an apparel section with some really cool T-shirts. I purchased one that I loved, pictured above with my Immunity One. So cute. 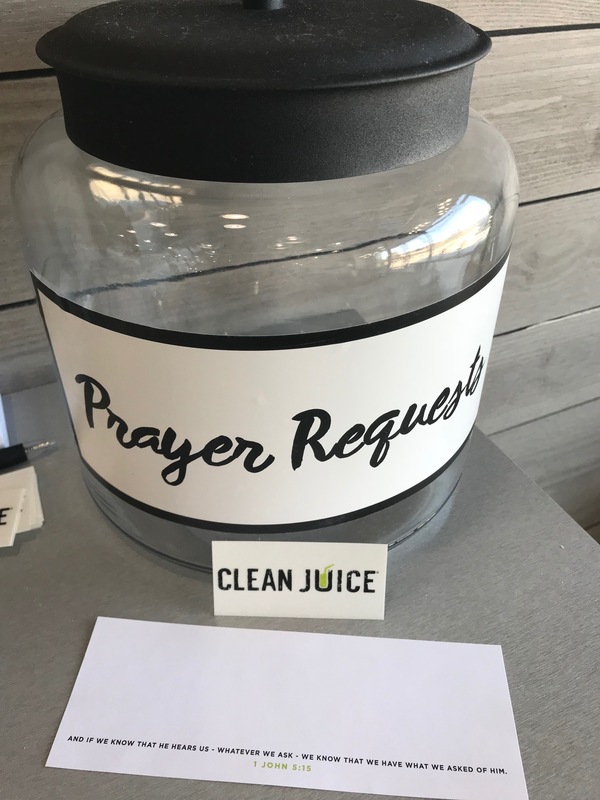 One of the things that was a blessing to me is that Clean Juice has a scripture on every bottle. I love that. Strong in body and Spirit. So awesome. Before I left my eyes glanced to an area with elevated dining seats. I immediately noticed a glass that jar that said Prayer requests. Wow, it doesn’t get any better than that. A blessing to know that they are also willing to pray for you. So good. 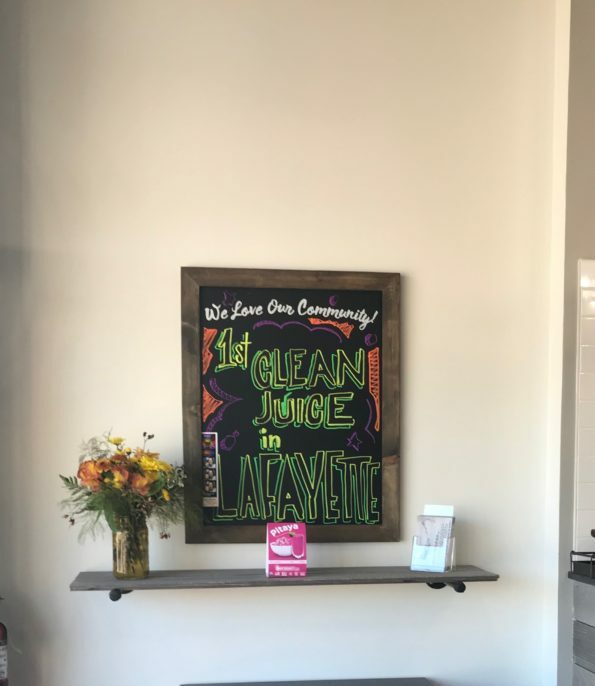 Overall, I absolutely loved my time at Clean Juice. I left Clean Juice feeling refreshed and ready for the day ahead. 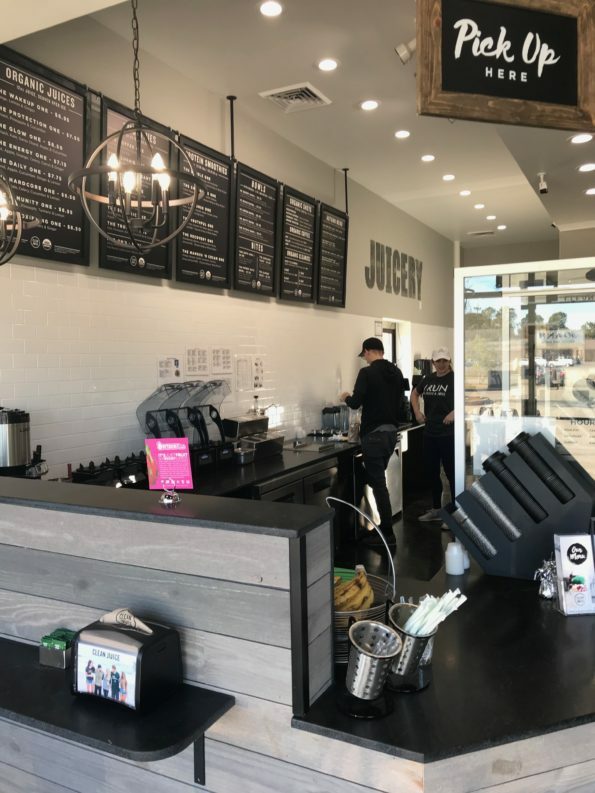 Good service, yummy food and delicious juices, smoothies and bowls. It was so good, I returned the next day to buy another juice for breakfast The Energy One and a Cashew Milk Latte that I just had to get for my friend who is very health conscience. I wanted to see what she thought of the drink. She loved. The Energy One, which was a RED Drink that I was a little worried about whether I would like it because the drink it was so red. 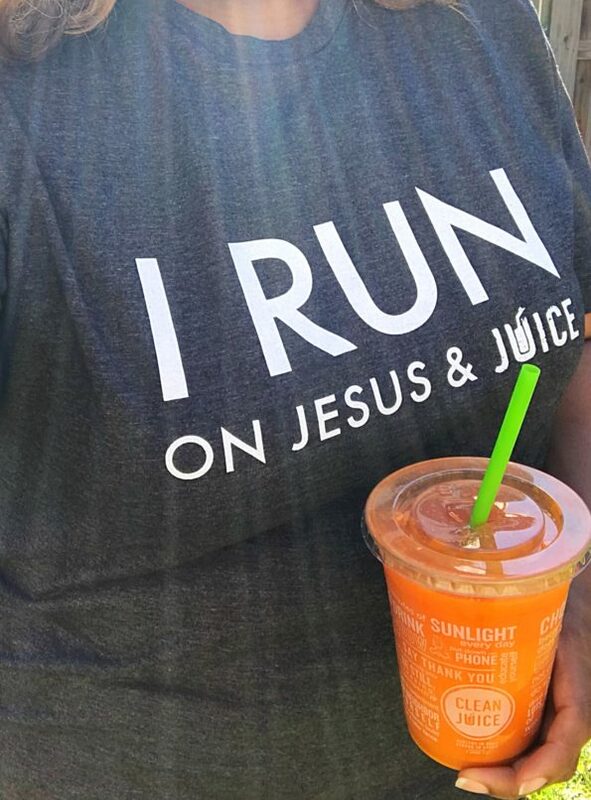 The drink included Beets, Oranges, Apples, Carrot, Celery and Ginger. 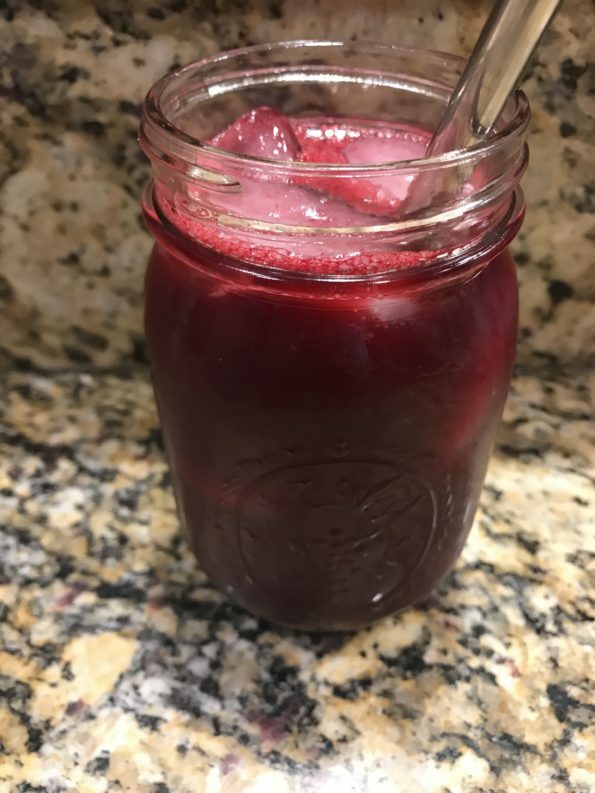 This drink was delicious and it has so many amazing health benefits. I am considering adding this one to my weekly routine of smoothies. It was that good. 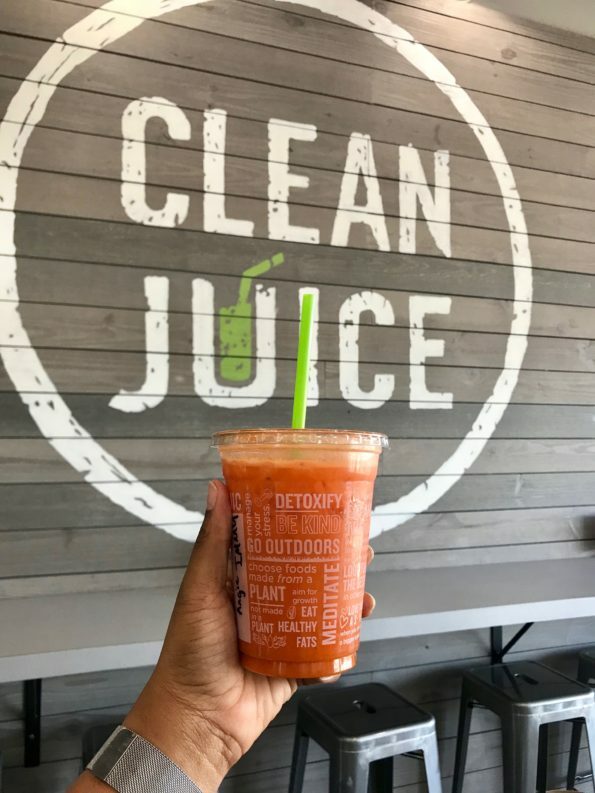 By no means am I the most health conscience person, but the Clean Juice Bar had me believing that I could eat healthy meals and supplements on a regular basis. The drinks, smoothies, toast and bowls are a must try. 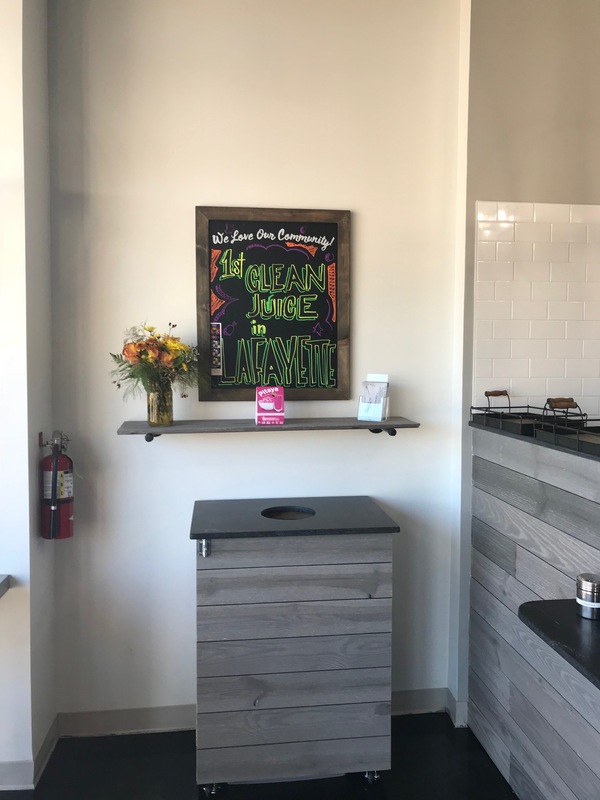 Go show Clean Juice bar some love and welcome them to the area. Be sure to tell them that Da’Stylish Foodie sent you! Clean Juice is located at 3546 Ambassador Caffery Parkway, Suite A-1, Lafayette, LA 70503. The Hours of Operation are Monday – Friday 7:00 a.m. – 8:00 p.m., Saturday 8:00 a.m. – 8:00 p.m. and Sunday 9:00 a.m. – 6:00 p.m.